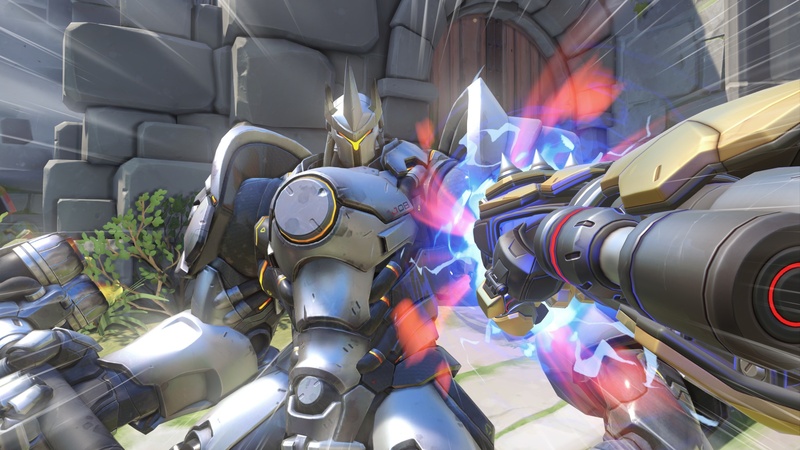 Our definitive guide on how to dominate as Overwatch's latest hero. 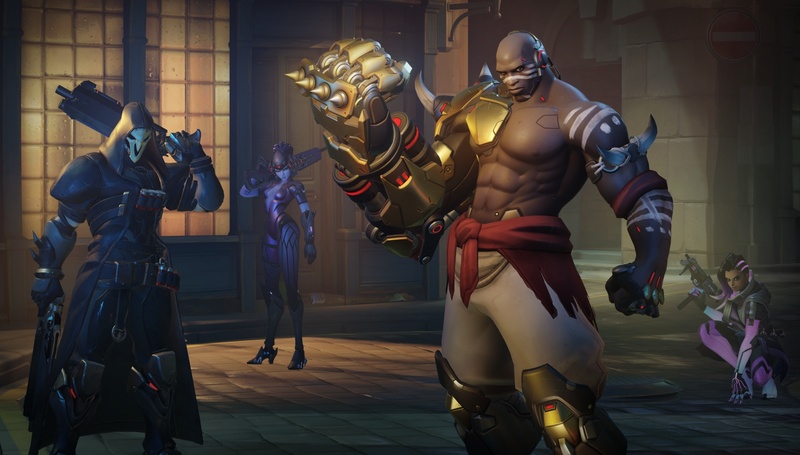 Our Doomfist guide contains ability information, gameplay tips, and everything else you could possibly want to know about the new villain coming to Overwatch. 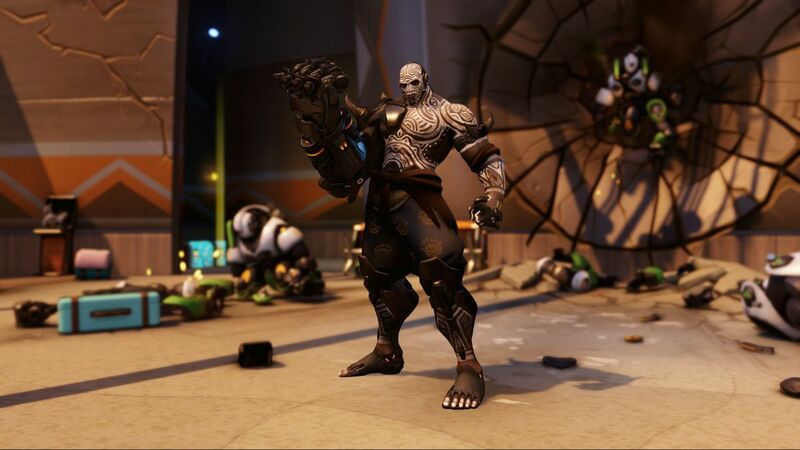 Overwatch's 25th hero - or rather, villain - Doomfist has finally punched his way into the game, and he doesn't disappoint. He's hard-hitting in every way, able to smack enemies into walls and uppercut them into the skies. Not only can he deliver huge amounts of damage, his abilities allow him to leap around the battlefield with ease, while his Ultimate takes all of this to the next level - point, click and you'll plummet into enemies fist first in an earth-shattering explosion. It's tempting to go all in with an aggressive melee oriented character, and it's easy to put yourself in harm's way when you simply didn't need to. In order to play Doomfist well, you've got to be patient and wait for the right opportunities to arise - when they do, you're practically unstoppable. To help you spot those moments and master this hero, we've put together a comprehensive Doomfist guide that will help you get the most out of this offense hero from the get-go, and ensure that you're making the right decisions in the thick of battle. As we're also learning the ins and outs of him too, we'll continuously update this article as new strategies or tips come our way. For now though, everything you'll find here should give you the upper hand when locking him in. Had a chance to play him for yourself? Got any tips and tricks of your own? Let us know about them in the comments section below and we'll include them in the next update! The arrival of Doomfist should hopefully shake up a meta which is leaning more and more towards dive compositions. We're looking forward to seeing how he'll fit into the competitive mix as time goes by, and whether he'll dethrone any of the top offense heroes of the moment. Below you'll find a simple breakdown of how each of Doomfist's abilities work with tidbits of advice on how to get the most out of each of them. We've also linked to some of our advanced guides for using these abilities as well. If you're after more general strategy advice, there's a section just underneath this one which goes over how he handles in certain situations. [LMB] - LMB Hand Cannon - Short-range weapon with spread. Reloads automatically. For advanced help with this ability, make sure you read our Doomfist Tips: Hand Cannon page. [RMB] - Rocket Punch - Hold to charge then release to launch forward and knock an enemy back. Damage increases if the enemy hits a wall. For advanced help with this ability, make sure you read our Doomfist Tips: Rocket Punch page. [LSHIFT] - Rising Uppercut - Knock an enemy into the air. For advanced help with this ability, make sure you read our Doomfist Tips: Rising Uppercut page. [E] - Seismic Slam - Leap forward and smash the ground, knocking nearby enemies towards you. For advanced help with this ability, make sure you read our Doomfist Tips: Seismic Slam page. For advanced help with this ability, make sure you read our Doomfist Tips: Meteor Strike page. [PASSIVE] - The Best Defense - Generates temporary personal shields when he deals ability damage. - Don't underestimate his Hand Cannon as it deals a decent amount of damage - especially at close quarters. Focus on landing your shots before going in for the kill with your other abilities! - We think Doomfist is best played as a hero who singles out a target (or two) and bursts them down in one quick flurry of damage. It's easy to get caught up in thinking you're some invulnerable menace when you're jumping in for fisticuffs, but force yourself to question whether every decision you make will leave you vulnerable or not. - Rising Uppercut isn't just a damage dealing tool. We also recommend using it as a way of easily boosting yourself up to high spots. - When you've got an enemy in your sights, this basic combo sequence will ensure you've pummelled them aplenty: Rising Uppercut, Seismic Slam, Rocket Punch, Hand Cannon. Of course, this is just a basic example of how to weave your abilities together, and you can mix it up depending on the situation. - Rocket Punch is a perfect way of closing the gap between you and an enemy rapidly. Don't feel like you have to charge it to maximum strength either, sometimes it's best to unleash half of its power to finish off low-health enemies or bridge short distances. - Meteor Strike is a ridiculously powerful ability that's best used for getting into a better position, rather than simply focusing all your efforts on taking out your enemies. It's an easy way of getting to the enemy team's backline and picking off any vulnerable support heroes or low-health targets. - As Doomfist thrives in a fist fight, one of the most important elements of playing him effectively is patience. Try and avoid muscling into a fight, or engaging the enemy as soon as you possibly can without your own team to back you up. He's not a tank, so he doesn't have the health pool to get away with it! Instead, bide your time and wait for a more opportune moment to pounce. - Seismic Slam is another great gap closer, but it's also perfect for dishing out quick damage to multiple enemies. Look to use it when your opponents are bunched together and they'll certainly be afraid to stick together again. - Many of his abilities aren't just great for aggressive plays, they're also brilliant for disengaging too. Save Seismic Slam or Rocket Punch when facing an enemy, and wait until you're certain of how the fight you've picked will pan out. If it's not looking good, use one of them to cheese it out of there, or go all in for kill. Below you’ll find out exactly who Doomfist is particularly strong and weak against, with a brief explanation as to why he thrives or struggles when facing these heroes. As Doomfist is extremely mobile, he’ll naturally counter those that aren’t able to get away from his swings. Heroes like Torbjorn and Ana simply don’t have the tools to dodge or react to a Doomfist who’s zeroing in on them. Tanks like D.Va and Reinhardt aren’t only susceptible to his mobility, but can’t block his damage either. They’re both tanks who are built to soak up ranged damage, but when it comes to getting smacked in the face - there’s nothing they can do about it. As Doomfist is a melee oriented hero who relies on closing the gap between enemies, he’s vulnerable to enemies who can disable his abilities or pick him off from long range. Orisa’s exceptionally strong against Doomfist, especially as she can hunker down in a position and pepper him with gunfire as he rushes towards her. Let’s not forget her Fortify ability which makes her an immovable object - perfect against an unstoppable force eh? Sombra is perhaps his hardest counter, as with the flick of a button, she’s able to switch off everything Doomfist relies on - mobility. McCree’s Flashbang also works in a similar fashion, able to stop an aggressive Doomfist in his tracks for a calculated bullet to the head. Don’t even think about fighting a Mei or Reaper, unless you like getting frozen stiff or shotgunned in an instant. Heroes like Zenyatta and Widowmaker are fragile, but it’s getting to them that’s the difficult part. As Doomfist traverses his environment in bursts of mobility, there are frequent pockets of downtime where he’s waiting for his cooldowns to come back up so he can launch himself across the map all over again. It’s in these moments that Widowmaker can line up a devastating shot, or Zenyatta can dink him with a few choice orbs to the face. 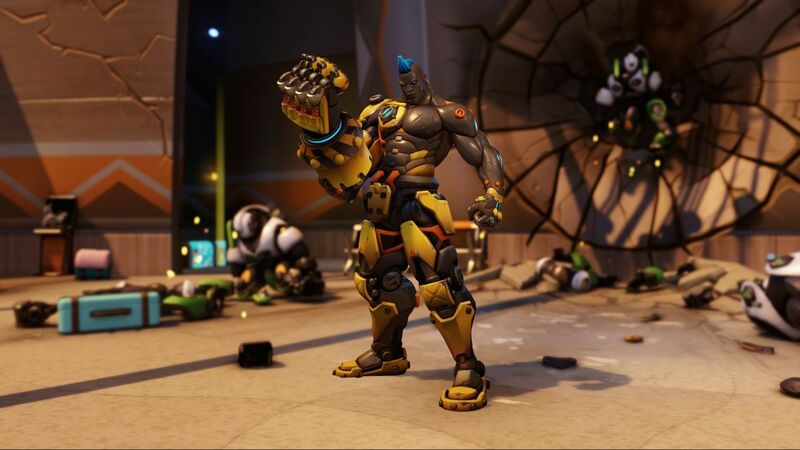 Here’s a breakdown of everything you can currently unlock for Doomfist.